dubizzle Dubai | X5: Amazing BMW X5 2012//Full Service History//2 Keys Top options!!!!!! Amazing BMW X5 2012//Full Service History//2 Keys Top options!!!!!! 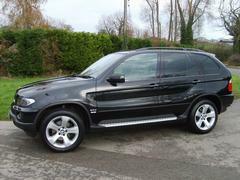 Very clean and nice BMW X5 2012 5.0 Special Edition. Full Service History at AGMC. 100% Free Accident Free Paint. Service History Available// Panoramic roof// 360 cameras// Electric seats//Bluetooth//Aux//Navigation and many more.